A Personal Bible Study Is Very Helpful! 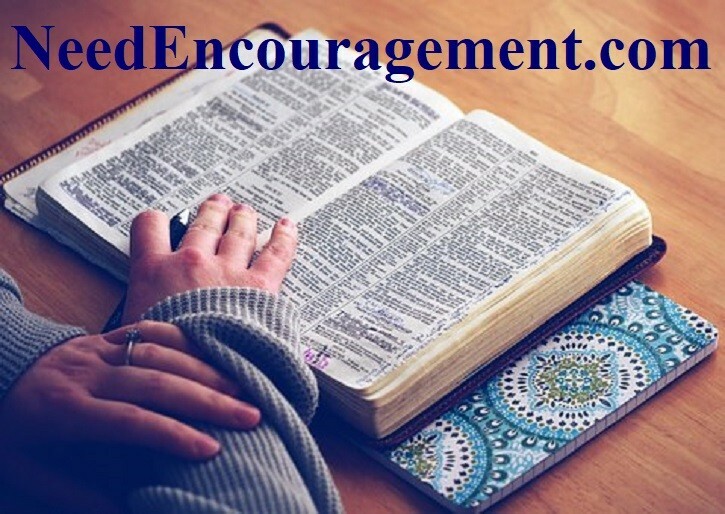 Having a personal Bible study each morning is extremely important to get grounded in God’s word before the bustle of the day takes the time away! Here are some encouraging scriptures that are about studying God’s Word. Mark 12:24 Jesus replied, “Are you not in error because you do not know the Scriptures or the power of God? Five P’s For Personal Bible Study! *What are the results of sin? Review: What did we learn from the last study about sin? First, read Mark 7:20-23 How does rebel against God cause a person to act? Do you recognize these things in yourself? Notice that they include not only acts but thoughts and attitudes. What do these things do to a person? What does the word “defile” mean? Then read Psalm 5:4-6 What does God think about sin? After that read Isaiah 59:1-2 What does sin do to our relationship with God? Then read Romans 3:23 What is the result of sin? Read Romans 5:8 From this verse, what did God do because He loves us? Read Isaiah 55:6-7 What are the conditions we must meet for God to pardon us for our sins? Make your personal Bible study a priority! The best time I found to read the Bible is first thing in the morning! Sin Is Rebellion Against God! First, read John 20:30-31 Why does John say he wrote about Jesus? Then read John 14:1-11 Read the passage silently, then state the claims that Jesus makes for Himself in these verses. After that read John 6:35-40 Pick out Jesus’ claims about himself in these verses. Then read John 5:10-18 Why did the Jews try to kill Jesus based on these verses? Read John 5:19-24 What response does Jesus expect from us? What will be the result of proper response? Be sure to pray before starting your personal Bible study! It will help you get the most out of your reading time! *What did Jesus Christ Do? Review: What did we learn from the last study about who Jesus Christ is? First, read Mark 2:1-12 What was Jesus doing when the person with paralysis was brought to Him? What did Jesus do for the person with paralysis that could be seen by the crowd? What did Jesus claim for Himself in this situation? What is the main idea of His claim plus His act of healing? Then read Mark 2:15-17 What did Jesus say He came for? After that read Mark 10:33-34 What do we learn about Jesus and His death? Then read Mark 10:45 What did Jesus say the purpose of His death was? What does the word ransom mean? In the light of the previous study, from what would His death be a ransom? Then read Matthew 28:1-7 Did Jesus fulfill His prediction He would rise from the dead? Read Romans 6:20-23 What can God do for us because Jesus Christ died? Finally, read 1 John 5:11-12 What relationship must we have with Jesus if we are to benefit from what He did for us? Take time to dig into it and learn what the Bible says? *How can I receive Jesus Christ? Review: What did we learn from the last study about what Jesus did? First, read John 1:12 What two things must we do the become children of God? Then read John 3:16 What is the result of believing in Jesus Christ? After that read John 13:13 If we receive Jesus into our lives, who are we receiving? Since He is Teacher and Lord, what can we expect Him to do when He comes into our lives? Then read Romans 10:9-10 What is involved in receiving Jesus Christ? Read Matthew 16:24-25 Jesus here encourages His disciples to “count the cost” of following Him. Based on these verses, what would Him “cost” you? God’s Word Will Be Fruitful To You When You Apply It! When the Bible is open, it will speak to you, when you apply it to your life it will work for you. When you believe the Bible, it will save you, although you will still have problems, yet God will help you through them! Personal Bible study needs to be a discipline that you do each and every morning. I say morning because that seems to be the best time to put aside before the business of life hits us. Take time to pray first and ask God to speak to you and clear you mind of other thoughts you might have. If the morning does not work for you, the point is that we need to make the time for what is important, which in this case is having a personal Bible study. Try your best to stick to your study schedule, but if you miss a day, get right back at it the next day (or even later in the same day). Do not try to speed read through, by doing so you will be glossing over God’s word too quickly to let it make a dent in your head and heart. While reading, ask the Bible what actual message it is trying to get across to you. If you need to re-read sections that is no problem, actually it can be a very good thing.